On Aug. 4, shortly before 3:00 a.m., Minnedosa RCMP along with local fire and EMS responded to a serious collision involving a vehicle and three pedestrians at Provincial Road 262 by Road 85N, close to the entrance Rock in the Fields in Minnedosa. On Aug. 16, Neepawa will host a special concert featuring pianist Cameron Streicher. 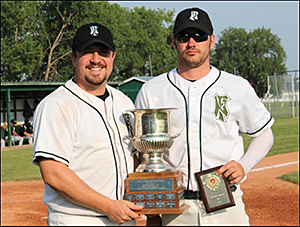 Cam Tibbett is this year’s MVP of the Manitoba Senior Baseball League’s Neepawa Farmers.